GAVISCON is produced by Reckitt Benckiser. It contains Sodium Alginate and Sodium Bicarbonate. It is being used for the relief of heartburn and indigestion. If you are facing heartburn, indigestion of food, gas trouble and abdominal pain, all you need to take this syrup as a remedy. Adverse Affects: Some common adverse affects includes vomiting and diarrhea. 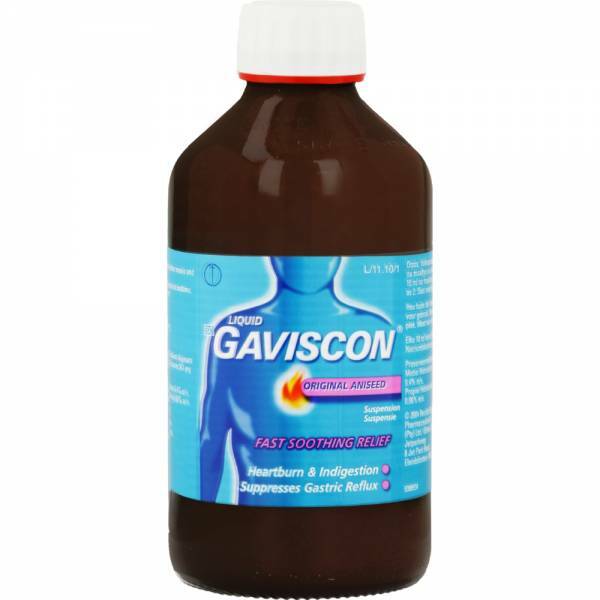 Precautions: Take GAVISON after meals and at bedtime. baby cough syrup bata den ? ?